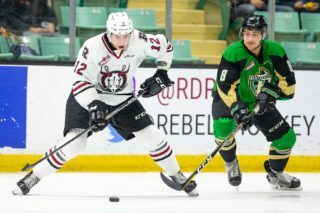 Brandon Hagel is on the verge of making Red Deer Rebels history. The next assist drawn by the Rebels’ fourth-year forward will tie the all-time regular-season franchise mark of 161 currently held by Arron Asham, who also played four seasons with the WHL club starting in 1994. Barring an unforeseen circumstance, Hagel will almost certainly draw even with and break Asham’s record in short order. When he does accomplish the task, it’s an honour he won’t take lightly. “I’ve been here for four years so it’s something really, really special to me. Being able to end my (major junior) career off with something like will be really special,” he said Thursday. 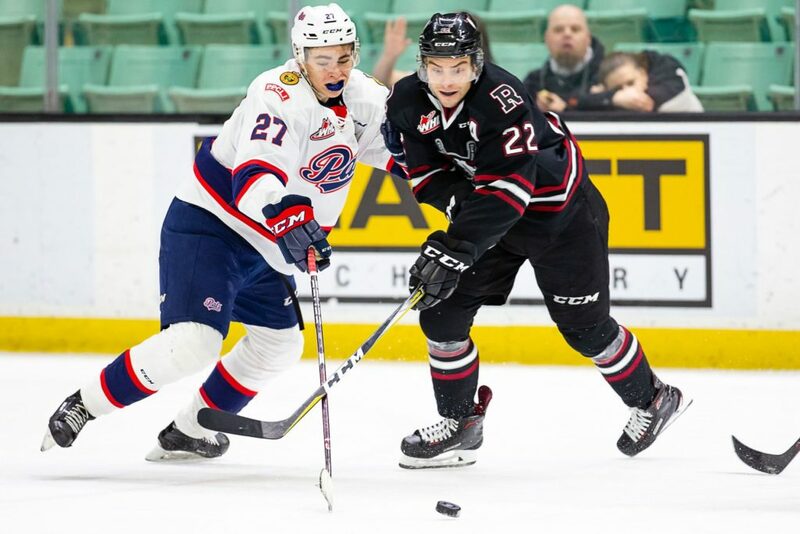 Hagel has been a productive player with the Rebels since Day 1 of his arrival and is currently enjoying a career season with 30 goals and 75 points in 48 games, good for fifth place in WHL scoring. 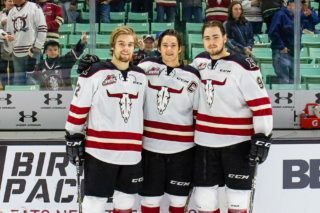 He insisted his off-season regimen didn’t change, but that he simply entered his final year with the Rebels with a chip in his shoulder after the Buffalo Sabres, who selected the Morinville product in the sixth round of the 2016 NHL entry draft, didn’t offer him a contract at last June’s deadline. What Hagel is today is a signed prospect of the Chicago Blackhawks, who inked the 20-year-old to a free-agent deal in late October after he started the season on a tear. That he was able to secure a deal with Chicago was yet another reminder that an episode of despair can make one stronger. “I had a lot of family and friends to support me through it,” he said of his disappointing turn of events with the Sabres. “It’s a dream to sign a contract so when that doesn’t happen there’s a little downfall to it all. The Rebels have struggled of late and have fallen from first place in the tightly-contested Central Division into a wild-card playoff spot. With the team facing a rigid five-game trip through the US Division next week, a pair of home-ice wins over the Regina Pats and Moose Jaw Warriors Friday and Saturday would provide a boost of momentum. In fact, if the Rebels want to stay in the race for top spot in the division back-to-back wins might be necessities. “This weekend is huge, we all know where we are in the standings,” said Hagel. “We have to make a push. We have a good hockey team here and we just have to keep moving forward. We have to get back to our game, back to how we know we can play. Notable: Defenceman Alex Alexeyev, who’s been out of commission since Jan. 20 with an upper-body aliment, is now listed as day-to-day, which would indicate that if he doesn’t play Friday and/or Saturday that he might be available for the US Division jaunt. 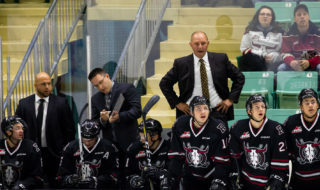 The Rebels will open the trip next Tuesday versus the Spokane Chiefs, before moving on to play the Everett Silvertips, Seattle Thunderbirds, Portland Winterhawks and Tri-City Americans over the next seven days. 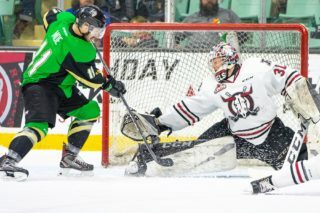 Regina is coming off a 4-3 loss to the Hitmen Wednesday in Calgary, one night after defeating the host Lethbridge Hurricanes 2-1 in a shootout. The Pats are 2-7-0-1 in their last 10 games and sit fifth in the East Division and 10th in the Eastern Conference with a 14-36-1-2 record . . . Saturday’s contest will be the third meeting of the season between Regina and Red Deer. The Rebels won the first two games, 4-3 in a shootout Dec. 7 at the Centrium and 9-4 in Regina Jan. 12. The clubs meet for a fourth and final time Feb. 27 at Regina . . . Former Rebels RW Austin Pratt is the leading Pats scorer with 19 goals and 40 points. C Ty Kolle is next in line with 10 goals — including all three markers in Wednesday’s loss — and 21 points. LW Riley Krane (11-9-20) is the only other Regina player to reach the 20-point plateau. Russian LW Sergei Alkhimov has reached double figures in goals with 11 . . . Pats No. 1 G Max Paddock sports a 3.55 goals-against average with a 9-21-1-1 win-loss record and an .894 save percentage. Creasemate Dean McNabb checks in with numbers of 4.28, 5-14-0-1 and .871. Injuries: Regina — G Dean McNabb (upper body, day-to-day), D Tyson Feist (upper body, day-to-day). Red Deer — D Alexander Alexeyev (upper body, day-to-day). Special teams: Regina — Power play 16.7 per cent, 20th overall; penalty kill 74.1 per cent, 20th. 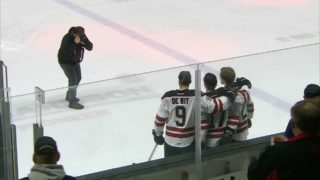 Red Deer — Power play 19.8 per cent, 16th overall; penalty kill 77.1 per cent, 16th.